Look for that red and yellow. While La Belle Province sounds really fancy, I must assure you that it is not. 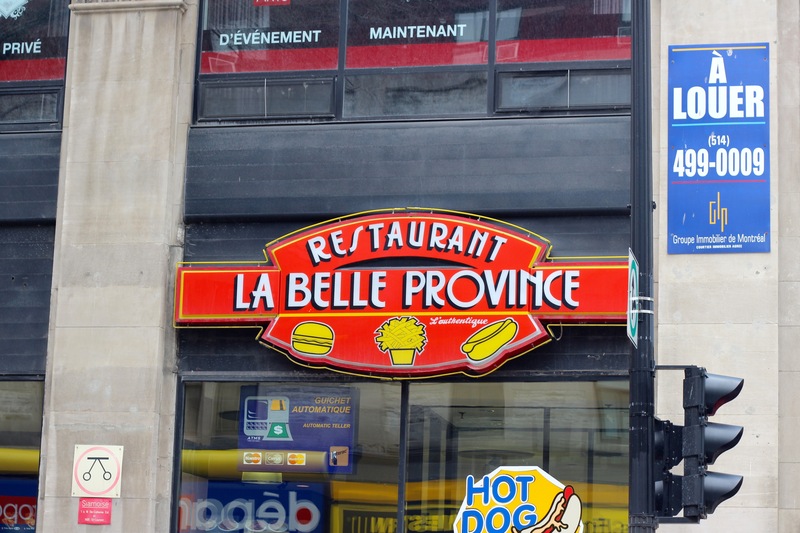 The French language makes everything sound fancy, but La Belle Province is nothing more than a local, greasy fast food spot with locations around the city. That does not at all take away from the perfection that is their poutine. I got mine straight up, because my years of eating the stuff I have found it very hard to beat the simple combination of fries, cheese curds and gravy. What I rediscovered was a thing of beauty. 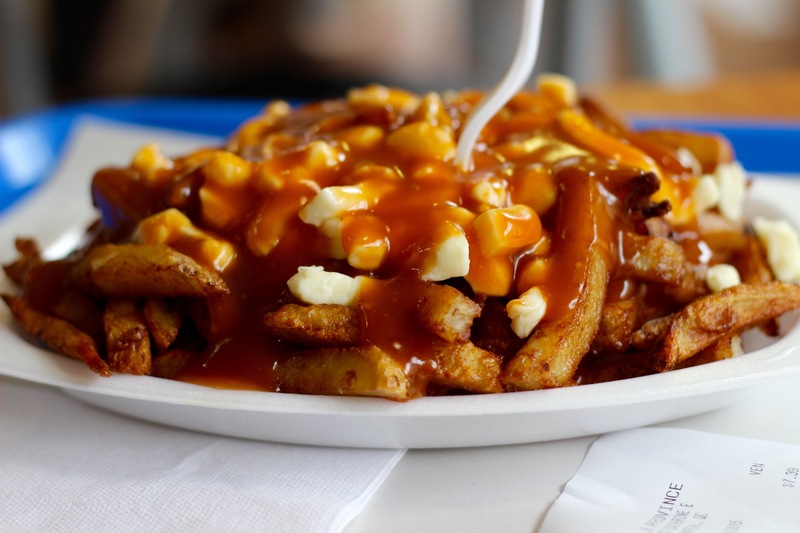 The fries seemed to be perfectly built to handle the cheese and gravy, while the curds retained their squeakiness even while melting in the gravy. The gravy itself played a perfect role, adding moisture and meaty flavor to the mix without being overly salty. It was all made even better because of the giant plate the poutine was served on, giving me the ability to eat the perfect balance in every bite. La Belle Province is the right way to eat poutine. You can take your fancy stuff and strange toppings and I’m sure they’ll taste good. But you’ll never know the truth without La Belle Province.